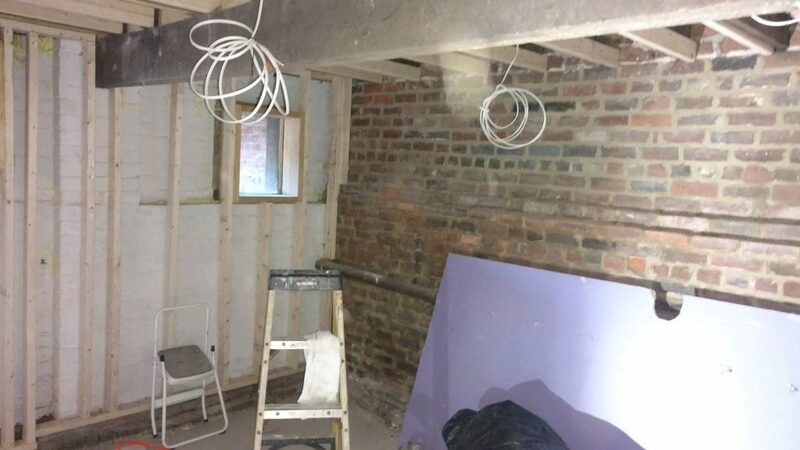 Our wonderful clients came to us with some basement wine cellar design ideas for their beautiful 100-year-old house in the historic DMV Metropolitan area. 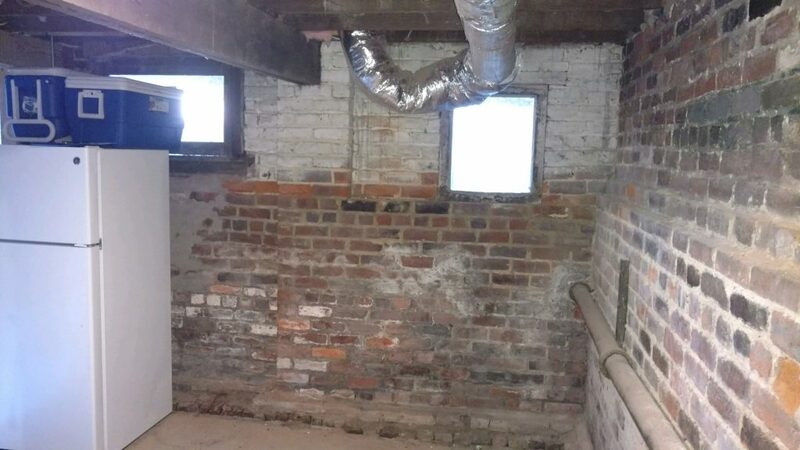 Having traveled all around the world, they have a love and appreciation for classic and old-world styles, and they wanted to reflect that as we discussed how to build a wine cellar in their basement. This is a very special couple, very involved in charity work and in their local community. They love to entertain, so we wanted to go above and beyond to create a very special space for them to enjoy their wine with good friends in a comfortable, beautiful, and practical setting. 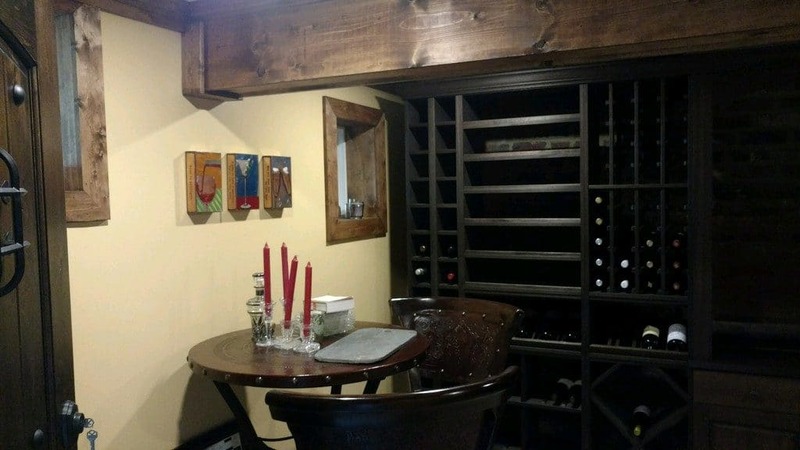 Take a look at these stunning before and after photos to see how we combined modern technology with old-world style to create the basement wine cellar design our clients had dreamed of, and how to design and build your own wine cellar in your basement. This was our blank canvas. 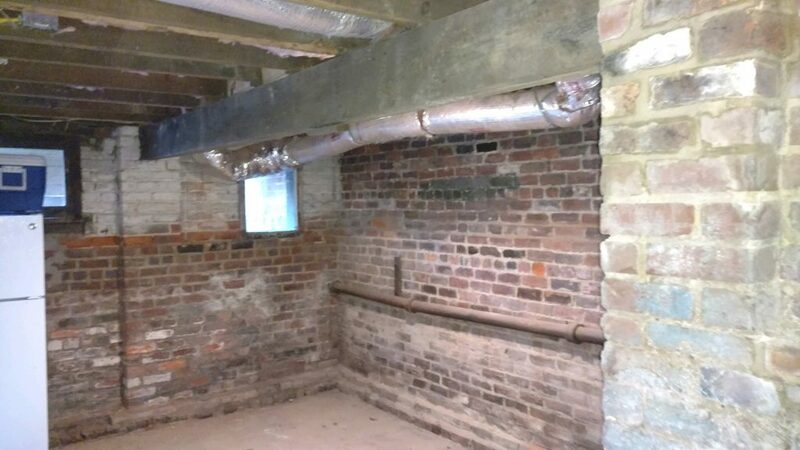 The support beam is load-bearing and had to be incorporated, and we wanted to leave as much exposed brick as possible. 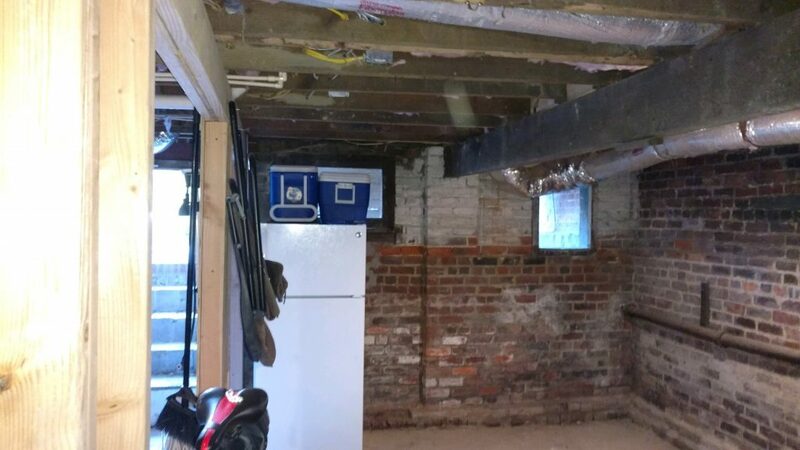 This wall has an exposed exterior, so it needed insulation. Then we finished it with wood trim around the windows and a beautiful coffered ceiling. This exterior entry would make for a perfect way to welcome guests from the summer heat or winter cold into an inviting wine cellar. 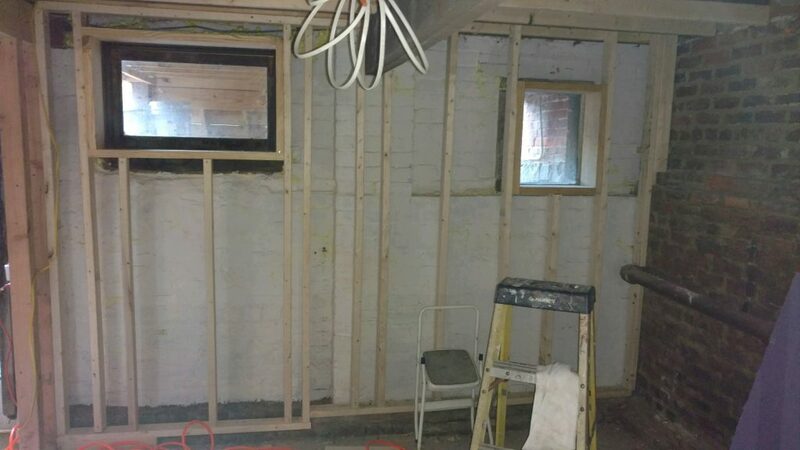 We treated this wall and added framing in preparation for adding insulation and finishing the wall. Wiring going in to prepare for lighting and power. We love how the ceiling, wall, and floor all tied in together as we prepped for adding racking and furniture. 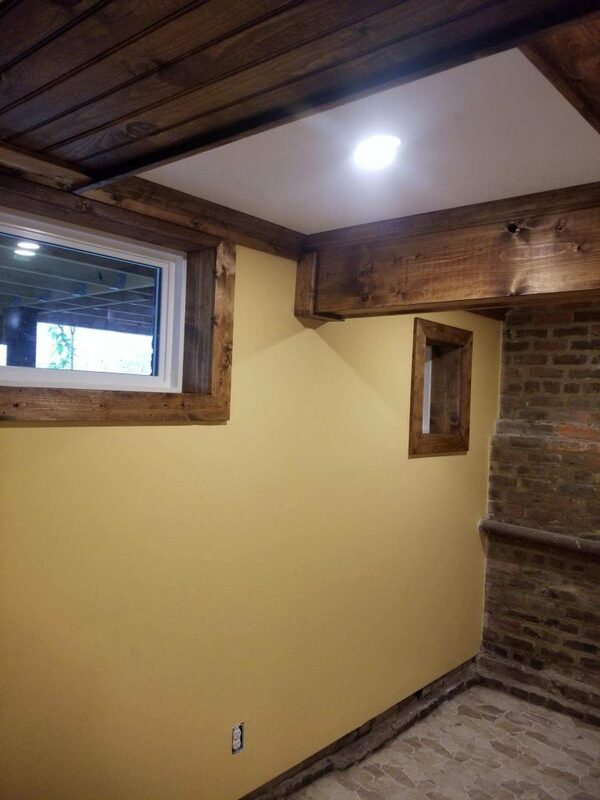 The owners wanted a rustic feel, and we love how this finished wall and wood compliments the original brick. 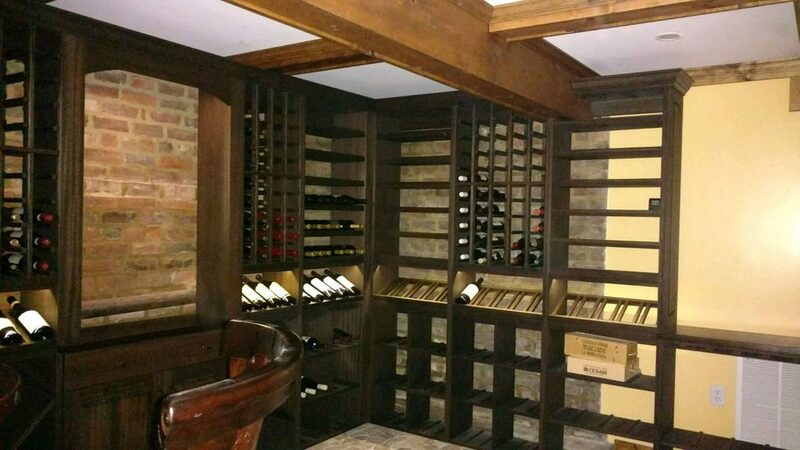 Even with the challenges, this space provided an excellent place to build a beautiful wine storage area. 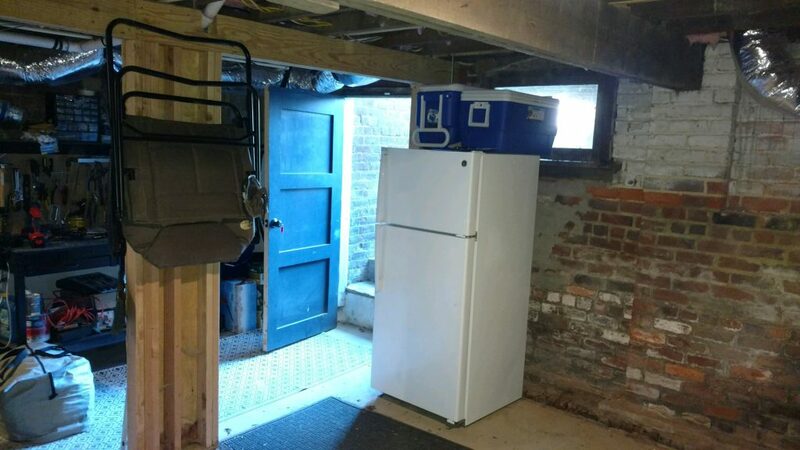 This space is directly under the kitchen, accessible via an interior staircase and an exterior entryway. 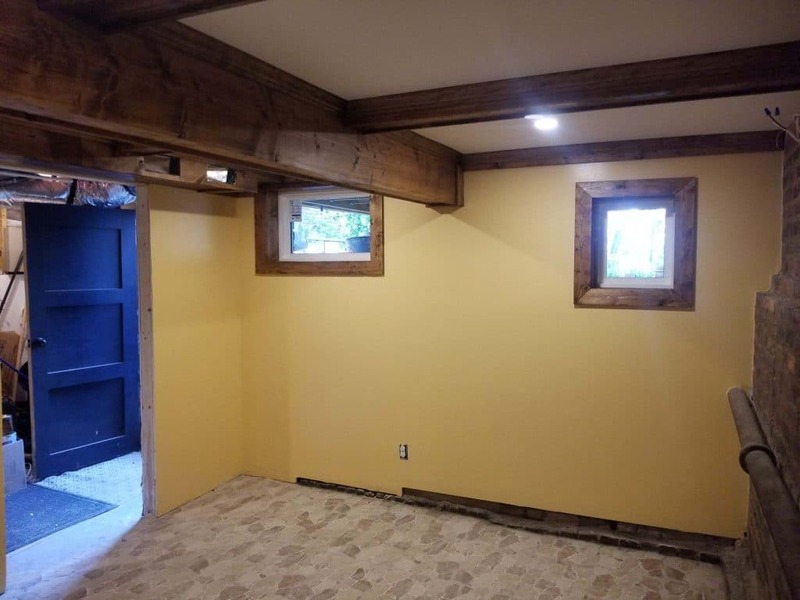 A dark finish on the racking matched perfectly with the brick, the yellow wall, and the owners choice for table and chairs. We found the perfect racking to effectively house and display our clients’ incredible collection. 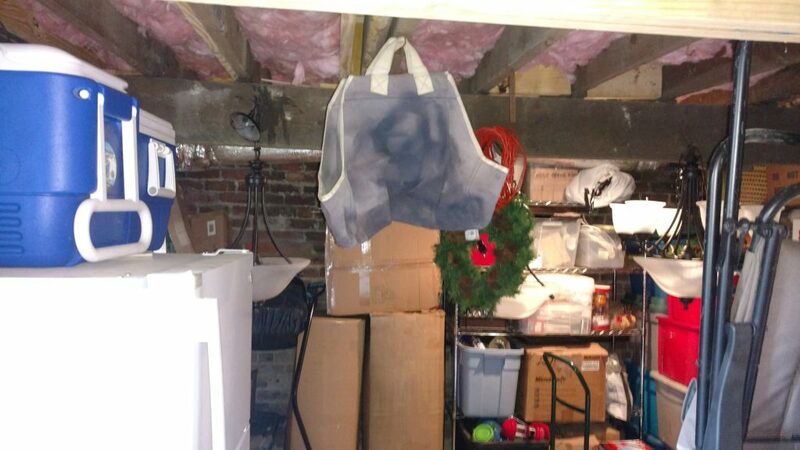 Many homeowners have a space like this in their basement. 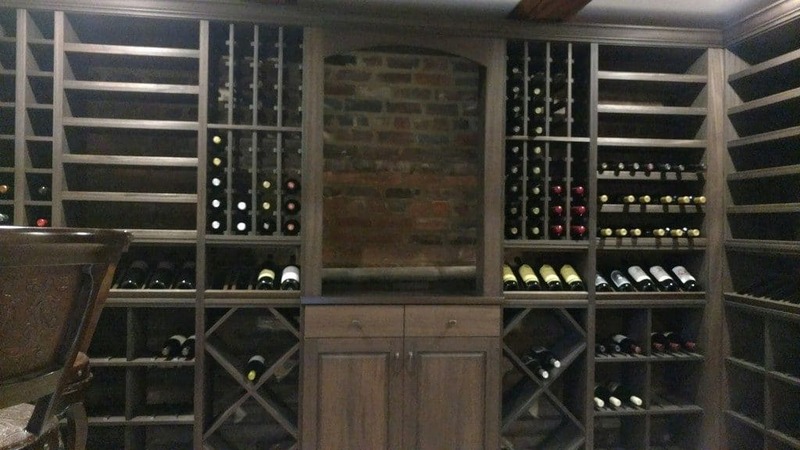 Do you have an area for your own custom wine cellar? 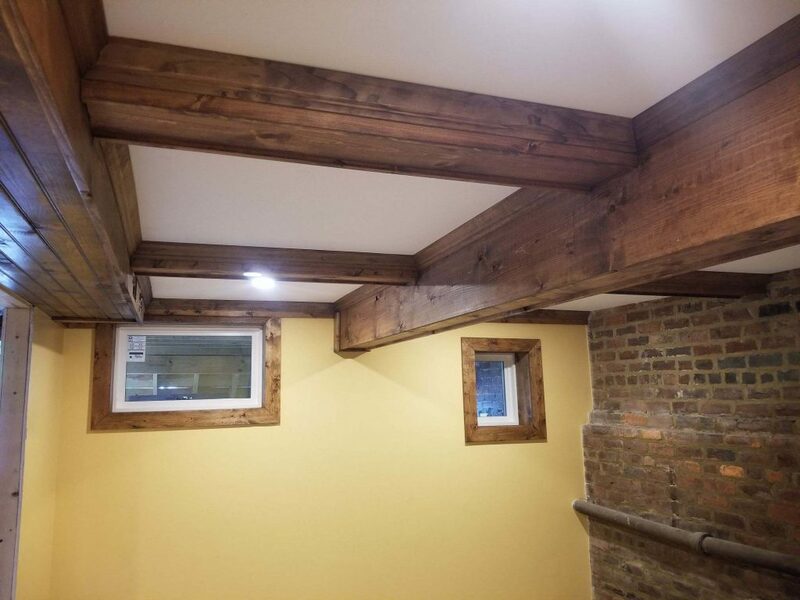 This is the perfect angle to see many elements of this beautiful wine cellar – coffered ceiling, dark finish wooden racks, exposed brick, and insulated walls.